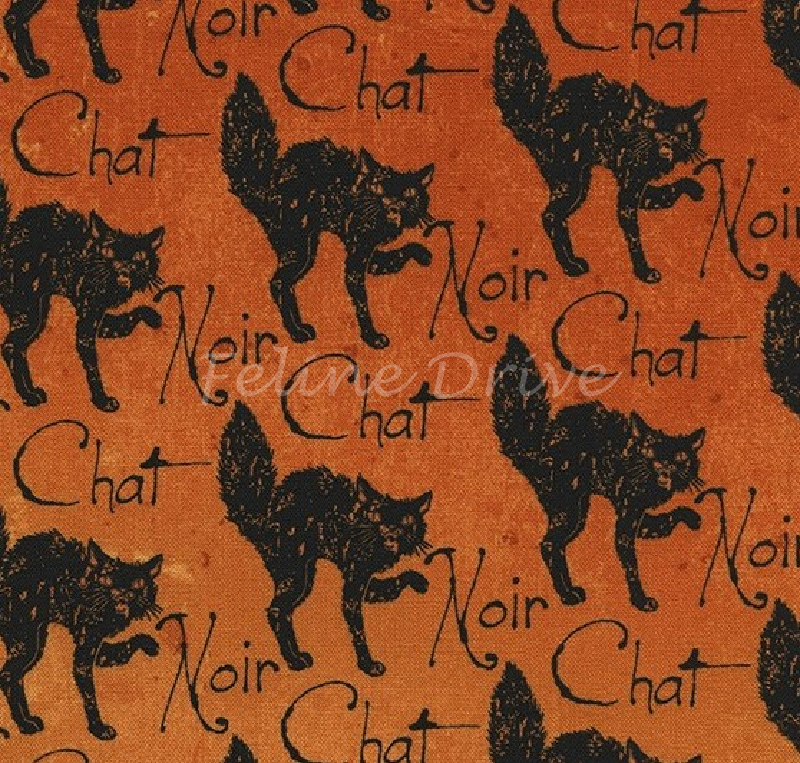 Spooky black cats on an orange background with the words "Chat Noir" ("Black Cat"). 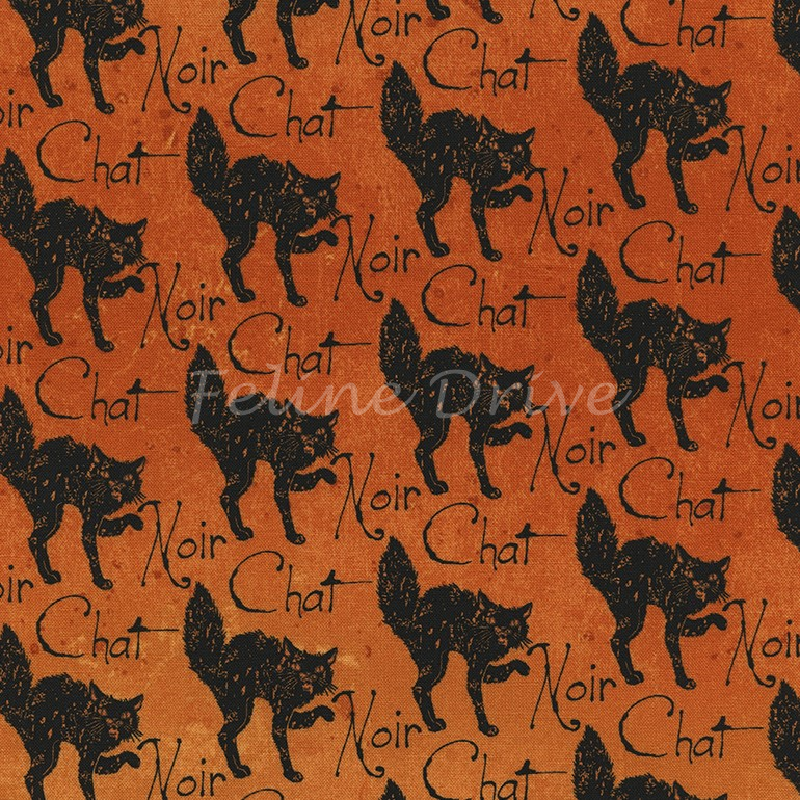 Purrfect for Halloween! Print Size:Cats are approximately 1.5" long and 2" tall.